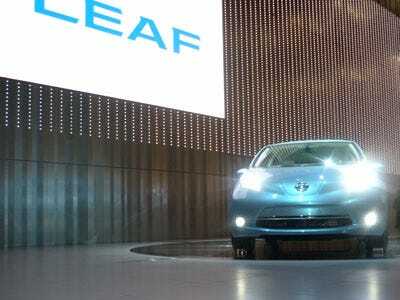 Nissan announced tonight it will start selling its electric car, LEAF, at 3.76 million yen or $40,000 in Japan. Pricing for the United States will be announced on Tuesday. That quote came in response to a question about the Chevy Volt, an electric hybrid tentatively priced near $40,000. The LEAF is Nissan’s big bet on a future of electric cars. It gets 100 miles per full charge, if the car is driven properly.